With all these massive sales happening for 4th of July, don’t forget to shop great deals for your little ones! 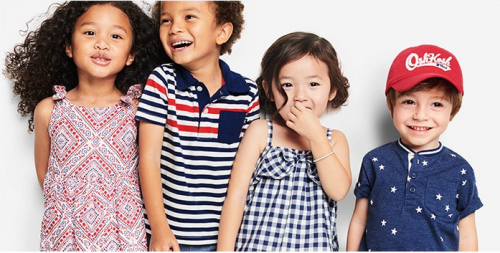 OshKosh has launched a 4th of July collection featuring all-American styles in the spirit of summer, with plenty of stars, stripes and smiles. What is even better is the collection is already discounted up to 70% off! Check out this adorable tee with the Star-Spangled Banner reimagined in OshKosh logo, and it’s only retailing for USD $4.97. Local shipping within US is FREE for orders above USD $50. Just pay RM10/lb, and you can receive these discounted items at your door via BuyandShip. What are you waiting for? Sign up now!